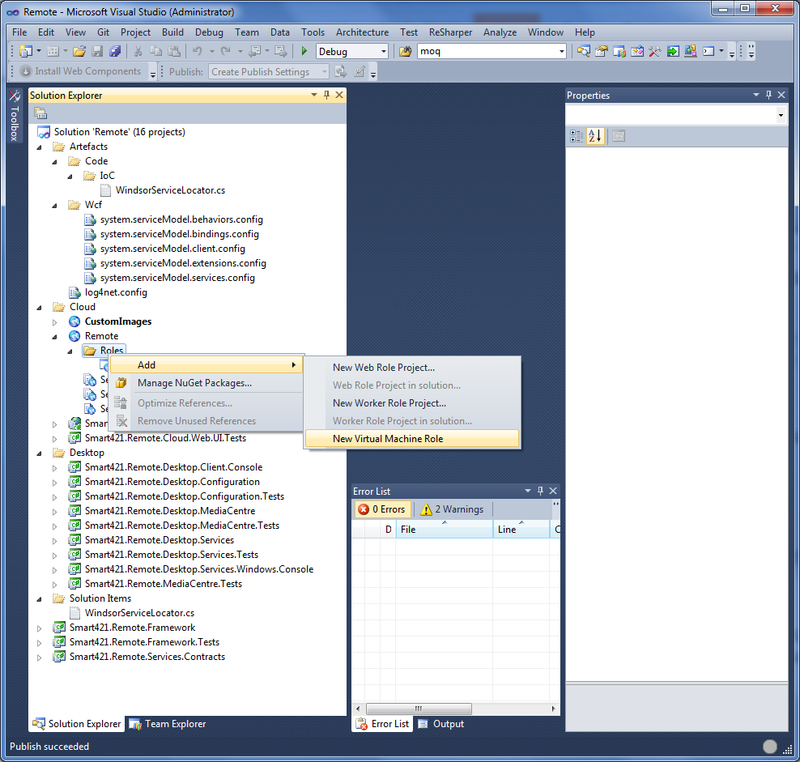 Simon Hart: Where is the "New Virtual Machine Role" menu option in Visual Studio 2010? Where is the "New Virtual Machine Role" menu option in Visual Studio 2010? 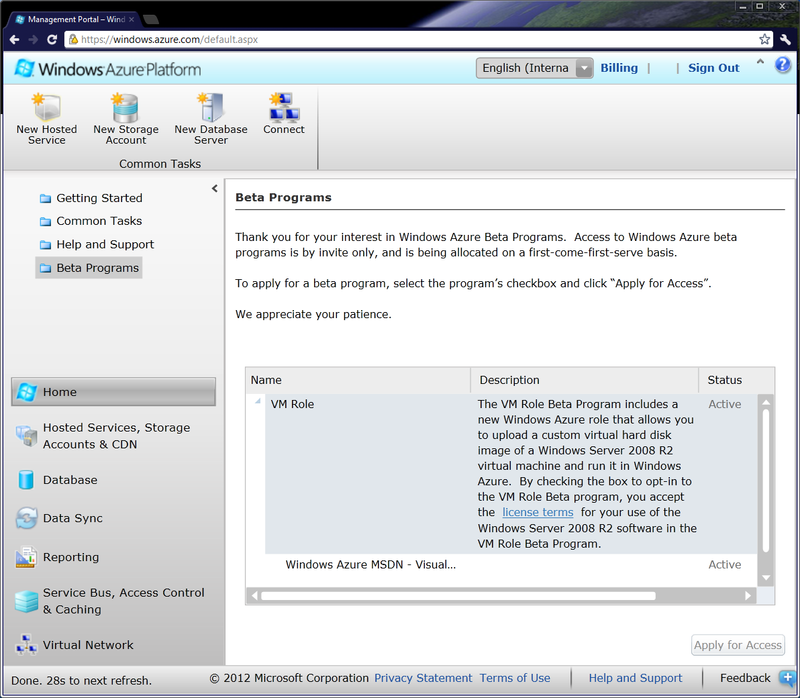 A while back I wrote about the new-ish VM Role feature in Windows Azure (still in beta right now). You can read that post here. If you're not sure what the VM Role is, then this MSDN post should clear that up for you. Once you have joined the VM Role beta programme, the status should have changed in the Azure Portal to Active, and you should have received an email with links to .reg files which alter relevant Azure Visual Studio registry keys which in turn enables this menu option in Visual Studio. Unfortunately for me, I received no such email. So I searched the Internet for them and found the location where they can be downloaded.